Sony announced a range of breakthrough new products across its product categories at IFA 2013 in Berlin. The list of new products was extensive and there was one particular announcement that caught many people attention with their announcement of the revolutionary Cyber-shot DSC-QX 100 and DSC-QX10, that got a lot of people interested and talking about it! 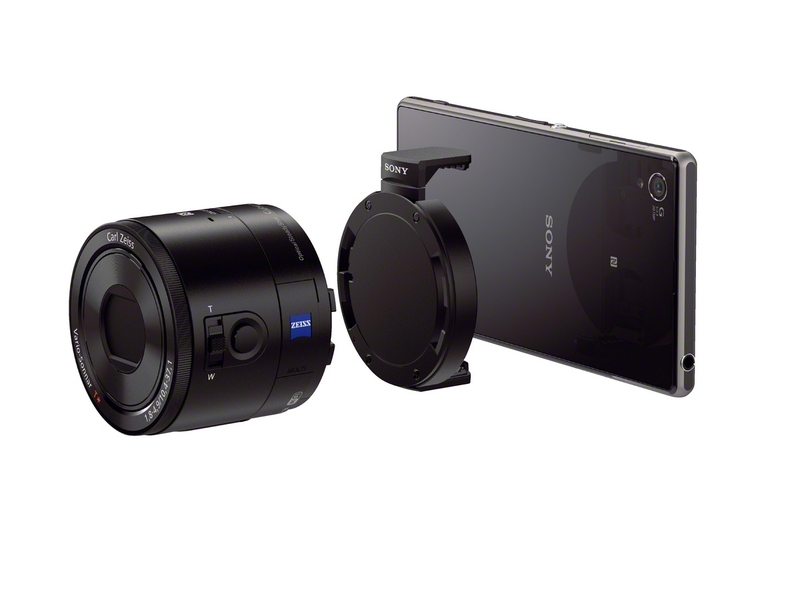 The Sony DSC-QX 100 and DSC-QX10 is going to give mobile phone / leisure photography an even bigger boost than before! 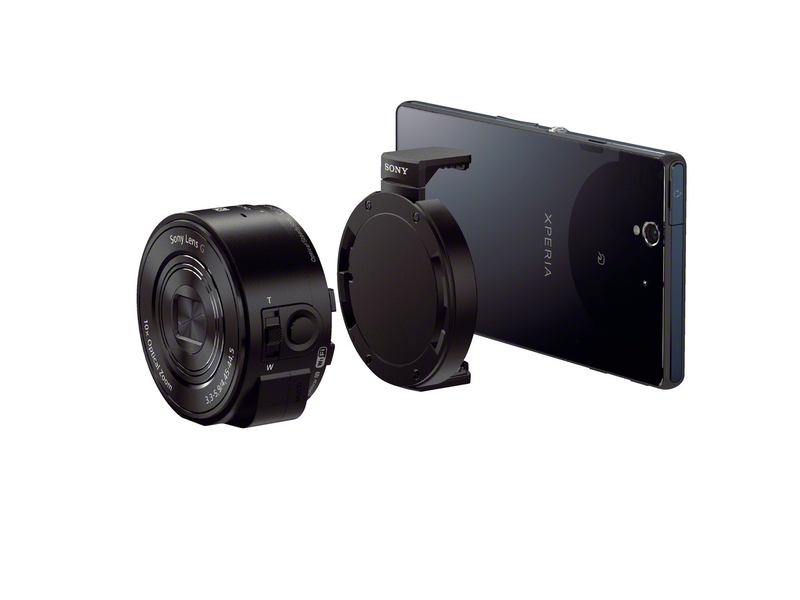 With their lens-style camera, it turns your smartphone into a power-packed specialist camera. Smartphone photography today is a very popular form of photography, easily accessible with the number of smartphone users in the world. The number of photographs shot with the smartphone is only going to get bigger with the expansion of the smartphone markets and brands. From my personal observation based on their specifications, style and usage, the Sony DSC-QX 100 and DSC-QX 10 would greatly enhance a smartphone user photography experiences and usage, giving it the edge towards the power and capabilities of a digital compact camera. The DSC-QX100 and DSC-QX10 attach in a moment with the supplied smartphone attachment that fits several popular smartphone models (width 54-75mm/max. thickness 13mm). Connection to your phone is made via Wi-Fi and the latest version of Sony’s PlayMemories Mobile application. Linkage is even simpler for NFC smartphone owners, with easy one-touch connection made without any complicated settings. There is no need to have the phone and camera attached. Place the Cyber-shot™ exactly where you want it, and fire the shutter direct from your mobile phone – it’s perfect for grabbing high-angle shots or self-portraits. Weighing just 105g (with battery and Memory Stick Micro), the Cyber-shot™ DSC-QX10 partners an 18.2 effective megapixel Exmor R™ CMOS sensor with a high-quality Sony G Lens. Boasting a powerful 10x optical zoom range, it’s great for power-packed close-ups of people, fun-filled events and distant landmarks that are just not possible without a dedicated zoom lens. Built-in Optical SteadyShot combats camera shake, keeping handheld pictures and videos steady and blur-free, even in low-light conditions. The Cyber-shot™ DSC-QX100 features a large 1.0-type Exmor R™ CMOS sensor with 20.2 effective megapixels. Enjoy sumptuous, ultra-low noise images – even indoors or at dusk when many cameras and camera phones seem to struggle. It’s simple to frame shots and tweak camera settings like aperture control and exposure compensation as well as photo/video record mode on your smartphone’s big touchscreen. You now get more creative control than you’d ever get with your phone’s regular camera enabling the user to capture beautifully background defocussed shots. Everything’s easily accessible, with extra dedicated keys for fingertip control of zoom and shutter release on the camera body. The DSC-QX100 is also teamed with a wide-aperture Carl Zeiss Vario-Sonnar T lens with 3.6x optical zoom with Optical SteadyShot giving all the picture quality you’d expect from a premium pocket camera. The powerful BIONZ processor in the DSC-QX100 and DSC-QX10 refines your image for beautifully natural, detail-packed stills and HD video. Superior Auto helps get the best from any scene, automatically recognising dozens of different shooting conditions and adjusting camera settings to suit. As an extra refinement, the DSC-QX100 sports a dedicated control ring for camera-like adjustment of manual focus and zoom. Accessory options include a soft carrying case and dedicated camera attachment case for a perfect fit with latest models from Sony Mobile including the brand new Xperia™ Z1. 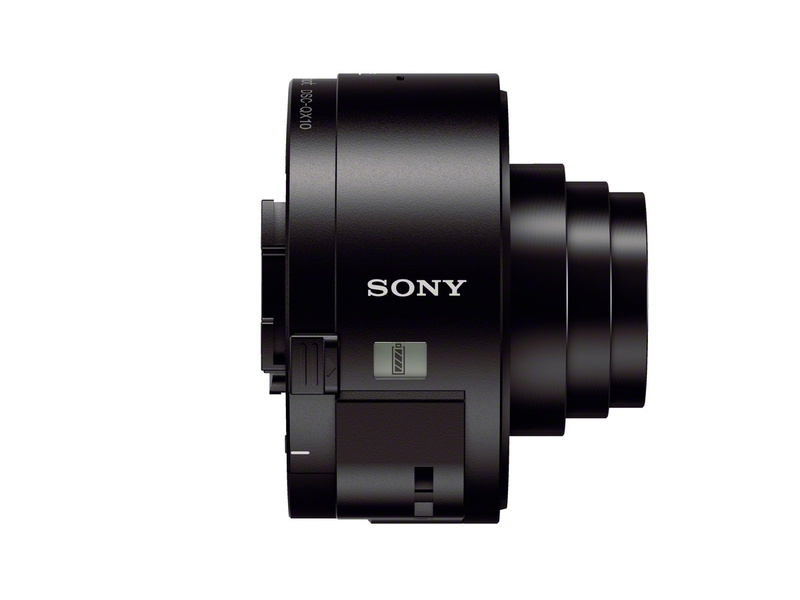 The new Cyber-shot™ DSC-QX100 and DSC-QX10 from Sony will be available in Singapore at all Sony stores and authorised outlets from October 2013. Although I do not have any hands on experience with the Sony Cyber-shot DSC-QX100 and DSC-QX10 yet, my personal thoughts, in my personal humble opinion, on the 2 models, are that they would help in the group of leisure people taking photographs and also getting the smartphone users to be more even active in taking photographs. Since it is open to both the iOS and Android OS users, the pool of smartphone users is huge. The designs and styles are revolutionary, the impacts would be more in the leisure and digital compact camera market. These 2 models DSC-QX 100 and DSC-QX 10 might help/complement a professional photographer in their field of photography works too. I hope that I am able to share more in-depth of my thoughts and views if I am able to get a hands-on with the DSC-QX 100 and DSC-QX 10 review units, and go around testing, playing and reviewing them! 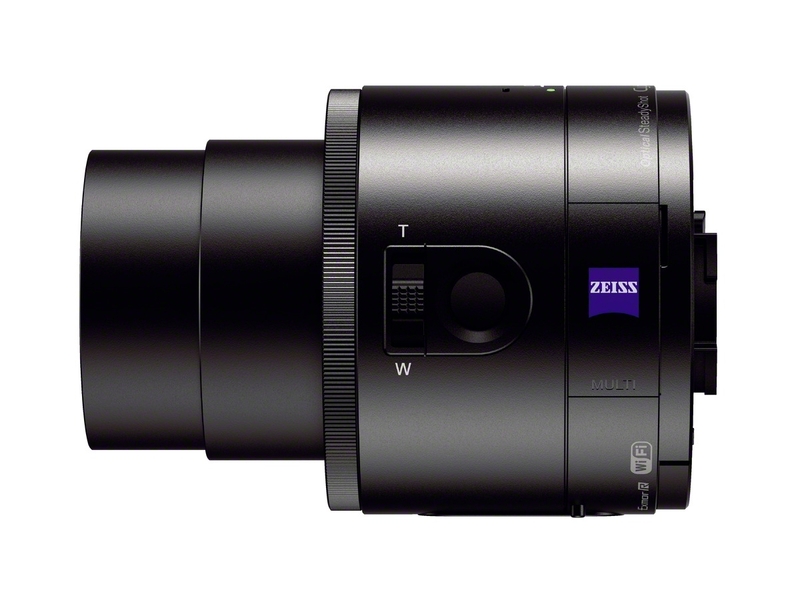 Sony Announced New Digital Imaging Offerings!